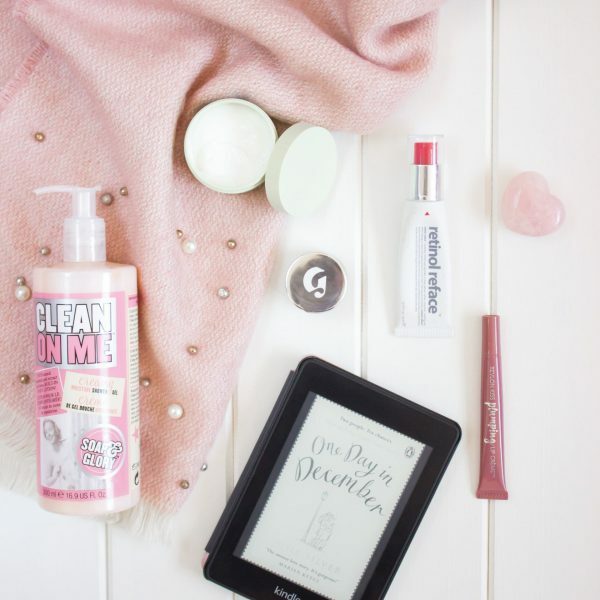 Over the past few months I have had the pleasure of being able to try out a few beauty products from Tropic, all of which I have liked and enjoyed using. However, I must say that I have stumbled across my favourite by far with this most recent product. The Tropic Skincare Body Smooth Refreshing Polish* has been a sheer delight to use, so much in fact, that I broke the blogger code and started using this long before I got around to taking the pictures for this blog post; I’m surprised that there was any left to photograph in truth.I discovered upon reading more about Body Smooth that this was indeed the founding product behind the brand. I am not surprised by this at all, it is a fabulous product for the brand to initially be associated with and it has only gone on from strength to strength in having recently been shortlisted for the Beauty Awards in 2018. Of course, if you didn’t know, Tropic is founded by Susie Ma who featured on The Apprentice a few years ago and who went on to secure the backing of Lord Alan Sugar, despite not actually winning the show. 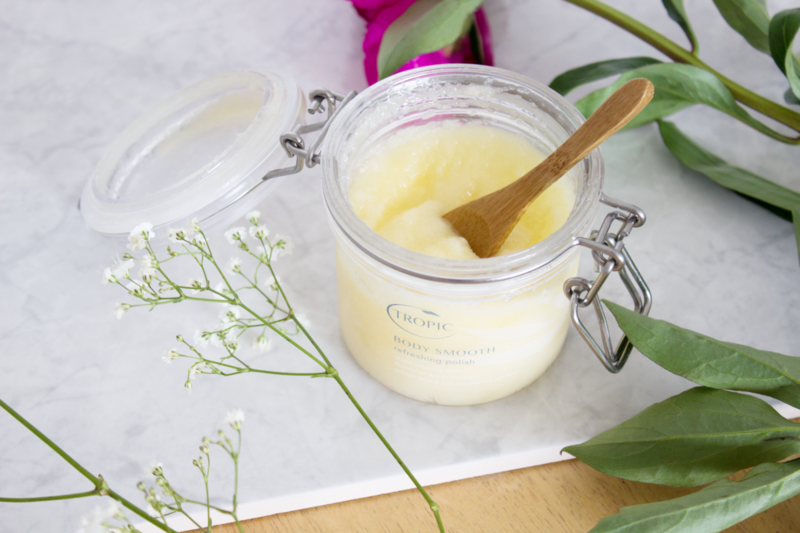 The Tropic Skincare Body Smooth Refreshing Polish is one of my favourite body care products for a long, long time and I will tell you why. Having always been a fan of a good old body scrub, I was always going to love this and love it I did. 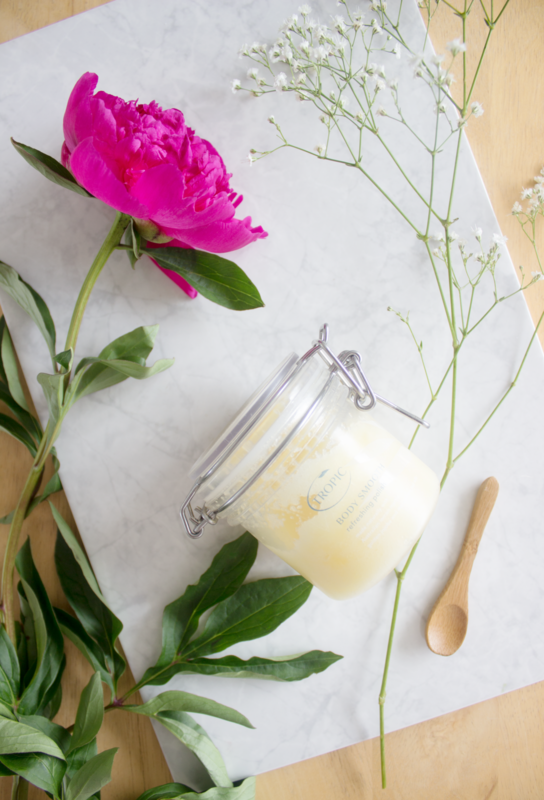 The packaging is delightful, luxurious and a little bit fancy; it looks lovely on display in the bathroom with the little wooden spoon attached to it. Speaking of the spoon, at first, I did think that whilst it completed the product nicely, that in practical terms I wouldn’t use it, however, when the product is resting and not being used I do notice that the oil within it rises to the top. Therefore, before use I do like to give it a bit of a stir so that the ingredients are fully mixed up again, just so that there is a better distribution as you don’t want to just scoop your hand in taking all the oil and leaving lots of the sugar behind.The guide to using this says that you should use it on dry skin, however I have been using this on wet skin when in the shower and have had really positive results. It is quite a coarse scrub but it isn’t harsh on my skin, although in truth I only really use this on my legs (particularly focusing on my knees) and my arms so that I don’t waste it as I don’t really need to use something as robust as this anywhere else on my body. Upon rinsing off I am left with an oily layer to the skin which is so hydrating, my legs feel so smooth after using this and it also saves me the added job of using a body lotion after the shower which I rarely do as I simply cannot be bothered. I would advise using this sparingly as I don’t think the tub would last you very long if you used this every time you showered or had a bath. My favourite scents do tend to lean towards citrus notes and this is full of lemon and lime so it is rather self-explanatory, it is divine. I think it is a perfect product for all year round (in my opinion) although of course it is most notably suited towards spring and summer, especially if you are tanning and want to remove dead skin cells before applying your tan. The only downside I would say to this product is the price. It retails at £24 for 200ml which I do think is a bit expensive. In truth I would rarely spend that much on a body care product unless it worked a miracle because I would rather spend the money on skincare for my face. There is no denying that this is an amazing product, it is beautiful and it leaves my skin feeling and looking great. Would I buy this in the future? Yes, if I had that kind of disposable income, it really is very nice and I will miss it when I reach the end of the tub. The Tropic Skincare Body Smooth Refreshing Polish can be found on the Tropic website.